TFWA World Exhibition sees the global travel retail introduction of two exciting new additions to the Stoli Group portfolio: SE BUSCA MEZCAL and STOLI CUCUMBER. Both will be presented to customers in Cannes at the company’s Beach Village 2 stand. The launch of super-premium Se Busca Mezcal, marks Stoli Group’s entrance into one of the fastest growing super-premium spirits categories. 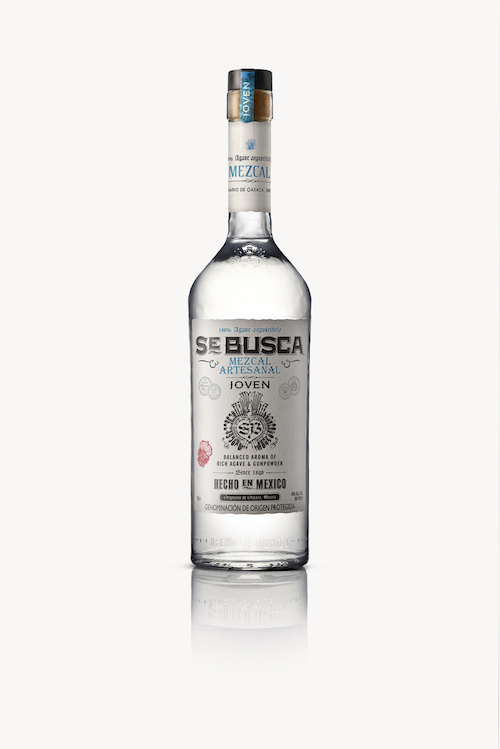 Se Busca is made with 100% Agave Augustfolia Espadin using a traditional 200-year-old process in San Juan del Rio, a small town in Oaxaca, Mexico. Balancing rich cooked agave, gunpowder and mesquite, maestros mezcaleros Rodolfo and Mary Lopez Sosa handcraft this mezcal through an artisanal production process used by their family for generations. Se Busca means “wanted” and was created to embody the unapologetic, feisty and impactful rebel spirit of the women of the Mexican Revolution. At launch, the line will comprise of Joven, Reposado and Añejo expressions. Se Busca Joven enters the market having received 93 points and a gold medal from Tastings.com International Review of Spirits, America’s oldest annual international spirits competition. Judges noted it as “a smooth sipping mezcal with supple balance and a long finish; this will be very versatile as a sipper or cocktail component and will be a good introduction into the category.” Se Busca Reposado is aged for 10 months in French Oak Barrels and holds sweeter notes of coconut, almond and hazelnut that expertly intertwines with cereal and mesquite, delivering a rebellious bouquet. The Añejo expression is aged two years in French Oak Barrels, giving it a perfected balance of rich agave and a vigorous palate of sweet oak, dates, raisins and spicy cooked agave with a long-textured finish. Stoli Group Global President & CEO Hugues Pietrini said, “With the rise of high-end mixology, there is a real demand for high-quality mezcal. Se Busca is a sophisticated, handcrafted spirit with great potential. We have seen strong success early on with Cenote Tequila and our team is primed to build on that with this agave spirit addition.” Adds Global Duty Free/Travel Retail Director JP Aucher: “Global travellers continue to look for premium spirits and, with the growing trend for craft spirits, we see a very good opportunity for Se Busca Mezcal within the travel retail channel. It is a fast-growing niche and we will target both key airports and operators. “Se Busca Mezcal sits perfectly alongside Cenote™, our ultra-premium 100% Agave Azul Tequilana Weber Tequila which is performing very well in the US domestic market since its launch in spring. Cruise Lines as well as North-America and of course Mexico are our travel retail priorities.” Inspired by the beauty of the Yucatan Peninsula and the spectacular underground water systems unique to this geographical region, Cenote Tequila has a complex flavour profile that balances fragrant cooked agave with delicate wood notes. Available in Blanco, Reposado and Anejo expressions, Cenote will be a focus in Cannes this year for Stoli Group. Stoli® Cucumber is the latest in an award winning range of flavoured vodkas, first introduced by the company in 1962. The newest flavour leaves a crisp and clean taste on the palate, bursting with savoury cucumber taste and a soft, smooth finish. Stoli Cucumber will be available to global travel retail customers as of January 2019. Said Frances Gaillard, International Marketing Director for Stoli Group, “As the pioneers of flavored vodkas, the expectations for creating the newest addition in our portfolio were high. Combining 2018’s hottest flavor with 80 years of vodka making expertise, we are proud to introduce the Stoli Cucumber and are confident that this addition will create new Stoli lovers, next to our popular Stoli Salted Karamel. Adds Aucher: “Stoli Cucumber is a perfect addition to our travel retail offering, particularly given the ongoing interest in cocktails and mixability. We’ve developed a number of Signature drinks include a Stoli Cucumber Spritz, Cucumber Martini, Cucumber Mule, and a Cucumber Bloody Mary that will provide us with some superb tasting opportunities that we’re keen to discuss with our retail partners in Cannes.” Stoli® Cucumber is 75 proof, or 37.5% percent alcohol by volume.